Curved silver tubes and glass turquoise tube beads create a perfect pairing in this made to dazzle necklace. I found my noodle tube beads at Michaels store a few years ago so you may not be able to find the exact bead. But the good news is noodle beads are very popular and you can find many similar ones on Etsy, Amazon, Fire Mountain Gems and at most bead suppliers. This simple stringing project can be completed in a short evening. step 1 - Slip the bead cord needle through a clamshell. Tie a double knot in the cord. Dot the knot with Krazy Glue. Trim the tail with scissors. step 2 - Pull the cord to enclose the knot inside the shell. Close the shell with pliers. step 3 - String the round silver beads on the cord. Depending on your neck size, you will need between 25 and 40 for each side of the necklace. Determine how many you will need before you begin. step 4 - Bring the needle through one noodle tube bead. step 5 - Slip a crimp bead onto the cord, sliding it as close to the tube as possible. step 6 - Use a crimping tool to flatten the bead. Pull the cord taught before crimping. When the bead is crimped, it will be hidden inside the noodle bead. step 7 - Add a silver bead and turquoise bead to the cord. step 8 - Add three more silver beads separated by turquoise beads. 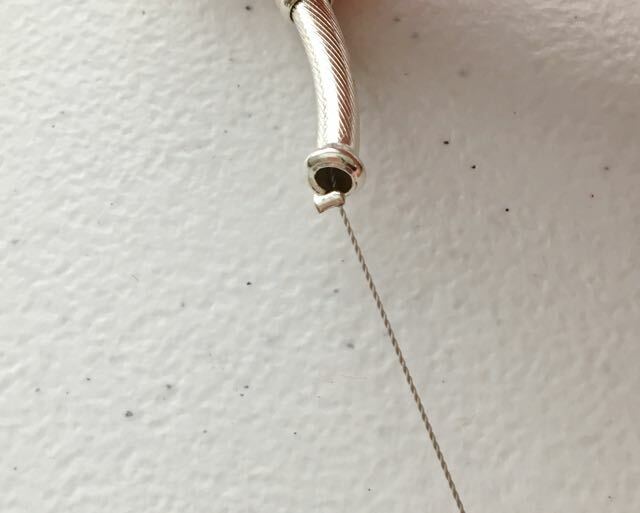 step 9 - Slide a crimp bead on the cord against the silver bead and crimp it. The two crimped beads bordering the center silver and turquoise beads will keep them from shifting on the cord and hold the end of the noodle bead against the silver beads. step 10 - Add the second noodle bead to the cord. step 11 - Add the same number of silver beads as you did in step three. Slip the needle through another clamshell. 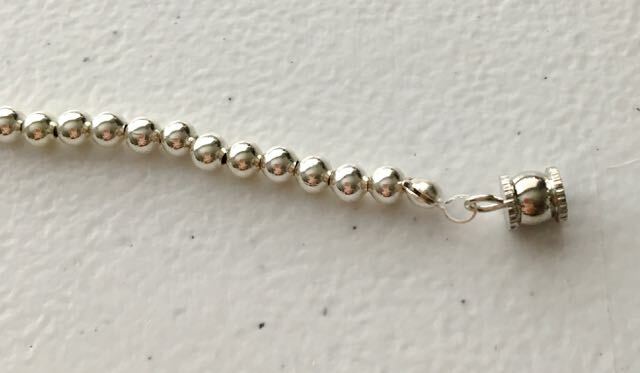 Use a knot-tying tool to finish this side of the necklace. Dot the knot with glue, trim the tail and close the clamshell. step 12 - Add clasps to each clamshell hook.